Jeremy Corbyn has defended his decision to attend a dinner organised by a left-wing Jewish group following criticism from mainstream Jewish leaders. Asked if he had any regrets about being at the Jewdas event, the Labour leader said: "Not in the slightest." The Board of Deputies of British Jews and other groups said it cast fresh doubts on Mr Corbyn's commitment to tackling anti-Semitism in Labour. Jewdas has previously suggested anti-Semitism claims were right-wing smears. Speaking on a campaign visit to Swindon, Mr Corbyn said: "I went to a very interesting and very enjoyable Seder supper and I spent a lot of time talking to young Jewish people about their life in Britain and experiences of anti-Semitism they have had and how they view the future of our country. "I think that is what political leaders should do - listen to people." He added: "Anti-Semitism is a cancer and awful in our society and has to be eradicated wherever it rears its head." A spokesman for the Labour leader said Mr Corbyn had attended the Seder event, a ritual service held on Passover, "with Jewish members of his local community" in a personal capacity and not on behalf of the party. 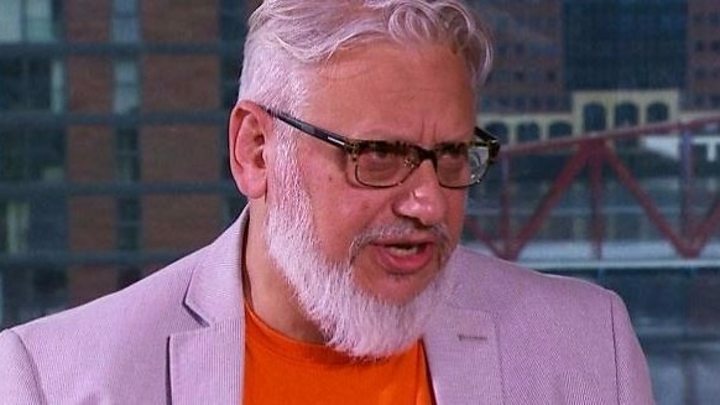 Media captionJon Lansman told the Today programme "Jeremy is a lifelong anti-racist"
"He wrote to the Board of Deputies and Jewish Leadership Council last week to ask for an urgent formal meeting to discuss tackling anti-Semitism in the Labour Party and in society," the spokesman added. Jewdas, which describes itself as a "radical" and "alternative" Jewish collective, is at odds with mainstream Jewish groups over allegations of anti-Semitism in Labour. It has accused the Jewish Board of Deputies, Jewish Leadership Council and Jewish Labour Movement of "playing a dangerous game" and previously dismissed anti-Semitism allegations as right-wing smears. Jonathan Arkush, president of the Board of Deputies of British Jews, said: "If Jeremy Corbyn goes to their event, how can we take his stated commitment to be an ally against anti-Semitism seriously?" The Jewish Labour Movement said Mr Corbyn's attendance at the Jewdas event "topped off the worst week on record of awful relations between the Labour Party and the Jewish community". Spokesman Ivor Caplin, a former MP, said: "When we called on the leader of our party to show moral leadership and take decisive action to stamp out anti-Semitism, this is not what we had in mind." Leading Corbyn supporter Jon Lansman said the Labour leader's attendance at the event was "not as significant as it's being made out." Mr Lansman, founder of Momentum, told BBC Radio 4's Today programme: "It was his night off, he had nothing in his official diary, his office didn't know he was there." Mr Lansman said past comments by Jewdas about Israel were "certainly not helpful to Jeremy or the cause of opposing anti-Semitism in the Labour Party". But he said Mr Corbyn was keen to meet the leaders of "mainstream Jewish organisations", adding: "Jeremy is a lifelong anti-racist." He said accusations of anti-Semitism in Labour could not be dismissed as "smears" against Mr Corbyn, and there was a widespread problem of "unconscious bias" in the party which needed to addressed by a "programme of education and training". In a tweet, Labour MP John Woodcock. a longstanding critic of Mr Corbyn's leadership, said meeting the group gave the message that "extreme views are OK". Labour's Angela Smith said Mr Corbyn's attendance was a "blatant dismissal" of the case to tackle anti-Semitism in the party. The chairman of the Jewish Leadership Council, Jonathan Goldstein, told BBC Radio 4's Today programme that he had "no issue" with Jewdas and its opinions. However, he criticised Mr Corbyn for meeting the group "in his first act towards the Jewish community" since his organisation had written to the leader regarding anti-Semitism, because Jewdas had called the letter a "cynical plot". The chief executive of the Holocaust Educational Trust, Karen Pollock, said on Twitter it was "mocking and disrespectful". But Ian Saville, a member of the Jewish Voice for Labour group, told the BBC he did not see Mr Corbyn's attendance at the Jewdas dinner as an error in judgement or provocative, as some have suggested, adding that it was a "religious event". Writing in the Guardian, Jewdas said it was "delighted" that Mr Corbyn was at the group's Passover Seder along with about 100 others. It said the Labour leader "was happy to join us". "The idea that there is a "mainstream Jewish community" is a fiction, promoted by a group of self-selecting individuals and institutions who have run out of ideas," the group said. "No single organisation can speak for us all. To claim that we in Jewdas are somehow not real Jews is offensive, and frankly anti-Semitic." On Twitter, Jewdas said it did not believe accusations of anti-Semitism in Labour were "nothing more than smears". Labour has been engulfed in a row about attitudes towards the Jewish community after it emerged there was a backlog of some 70 complaints of anti-Semitism within the party that had not been dealt with. 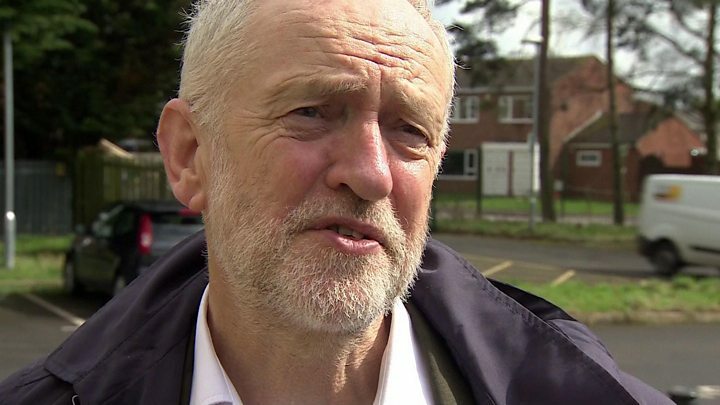 Mr Corbyn has previously apologised for the "hurt" in the failures to address complaints and insisted the party does not tolerate anti-Semitism in any form. Labour has dropped one council candidate over allegedly sharing posts on social media urging followers to "question the Holocaust". The party's new general secretary Jennie Formby, said in an email to Labour members that the "stain" of anti-Semitic attitudes "must be completely eradicated" within the party.